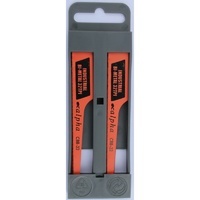 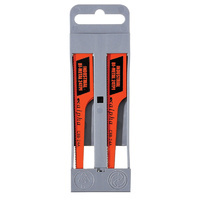 Cut perfectly straight lines in up to 3/16" thick metal. 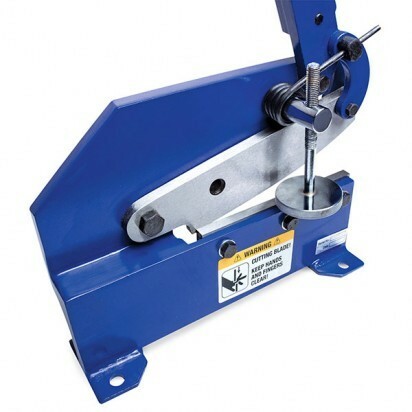 This Eastwood 8 inch straight cut throatless bench shear makes it easy to cut perfectly straight lines. With a sturdy cast frame, tool steel blades and extra long leverage handle, this shear is a must-have tool for any fabricator. 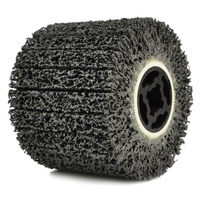 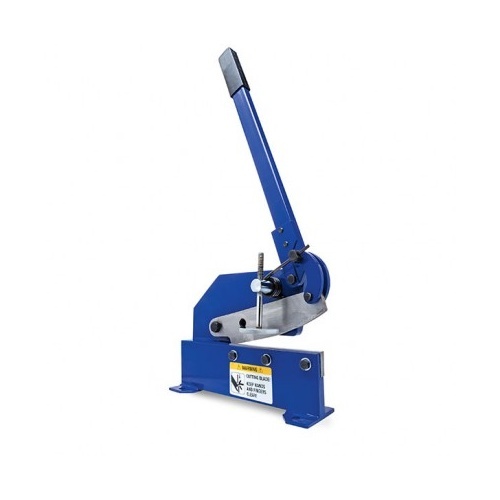 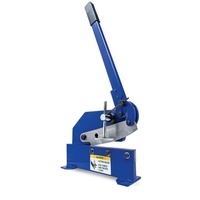 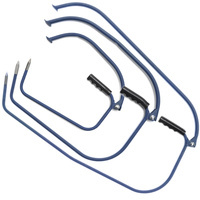 It will easily handle a full 8 inch cut of 11 gauge steel and will even shear up to 3/16 inch in smaller widths, plus up to 3/16 inch round bar. 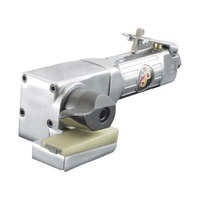 The throatless design allows for continual cutting in a straight line - with a helper you can cut a 122cm x 243cm sheet in half! 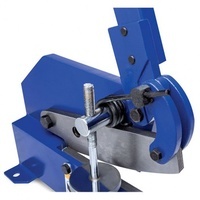 Shear mounts securely to your workbench or quickly in a vise for smaller jobs.